Foundation problems often occur because of a drought: lack of water in the soil can cause the soil around your foundation to compact and shift, and your foundation might shift along with it. But once you’ve noticed the signs of foundation problems and brought an inspector onto your property, your region might be in the rainy season or a surprise rainstorm could coincide with your scheduled repairs. If this happens to you, you might be worried that this can mean a rescheduling or that your repairs won’t solve the whole problem. Can foundation work be done on your house if it’s very wet or even raining outside? 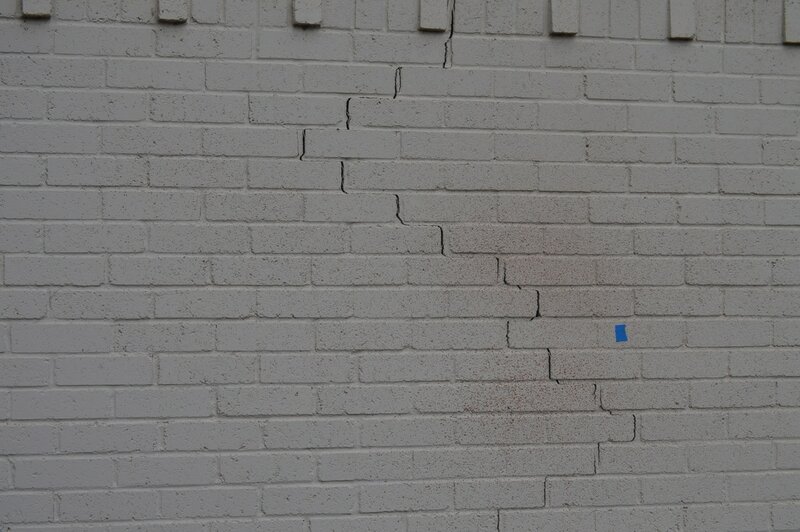 Cracks can be the first sign of a developing foundation problem or just a sign of regular foundation settling. 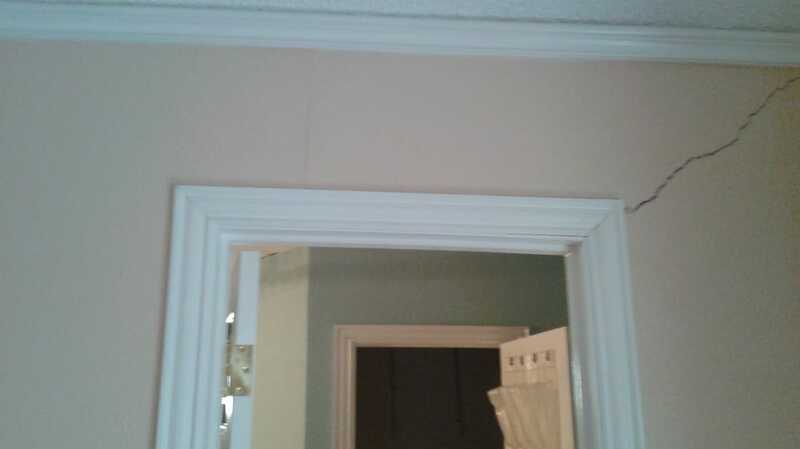 Either way, small cracks should be monitored and filled in, both for interior and exterior placements. 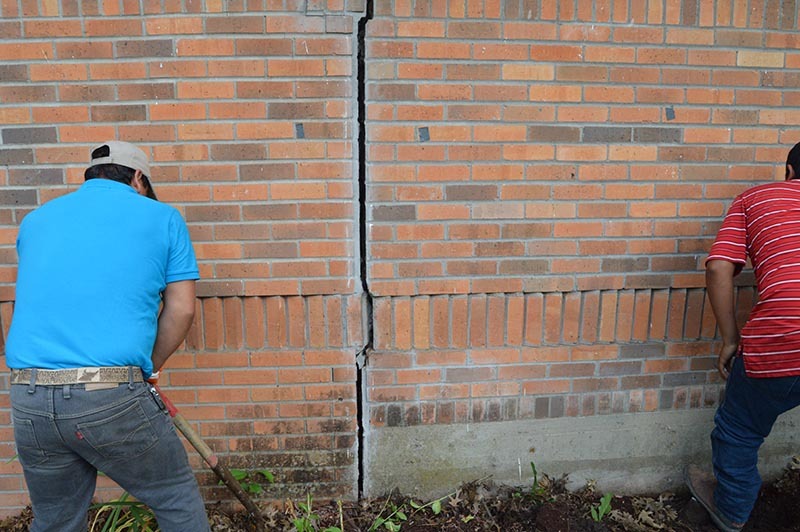 If you’ve scheduled an appointment to get minor exterior cracks filled in and you and your foundation expert are surprised by a sudden storm, that might just mean your cracks are filled in with a polyurethane injection instead of epoxy. Epoxy doesn’t adhere to wet surfaces, so polyurethane is the go-to compound; the same is true if you have a crack leaking water in your basement. Unlike other repair jobs where there may be alternative processes and ways to keep working, excavations generally should not be continued during or following the rain. This is because the soil can cave in, compress unexpectedly, and make a mess of the whole work-site. Also, many foundation coatings are water-based, so the finished project is not as reliable. In these circumstances and depending on the exact type of foundation repair, your project’s next steps will need to be rescheduled or modified. Even concrete pourings aren’t necessarily put out by the rain. With advance notice, your repair company can build a temporary enclosure to keep out the elements: they can close off the worksite with plastic sheeting to keep a long-term project dry. Even if there’s a sudden rainstorm, most foundation experts will bring along extra plastic sheeting just on the off chance of bad weather and can protect your new concrete quickly. In some circumstances, this might cause a bit of a delay. Depending on the full nature of the repair project, they’ll need to pull the water off of the in-progress surface in order to continue and make sure rainwater isn’t incorporated into the concrete. If you don’t have workers on-site during a sudden storm, don’t worry. The surface of the concrete will need to be protected if it was just mixed between two and four hours ago, but once the concrete has stiffened after approximately four to six hours, rain usually can’t cause much in the way of damage. However, your foundation repair team will always assess the project for potential damage with either a visual survey or a scratch test to make sure the concrete is solid. 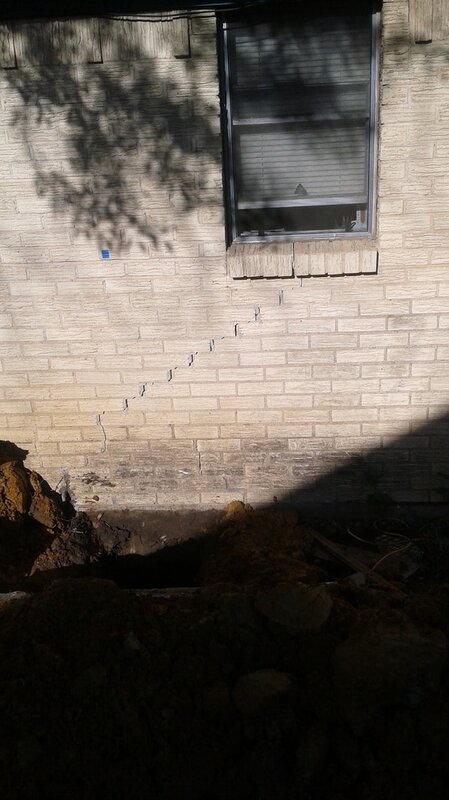 The root cause of a foundation problem or shift isn’t always a drought or compacting soil. Sometimes, it’s caused by a slab leak. Other times, your foundation might have heaved due to your gutters depositing water in a focused stream on the edge of the foundation. In these circumstances, your foundation repair company might put a temporary drainage system on your property to clear the area of water. 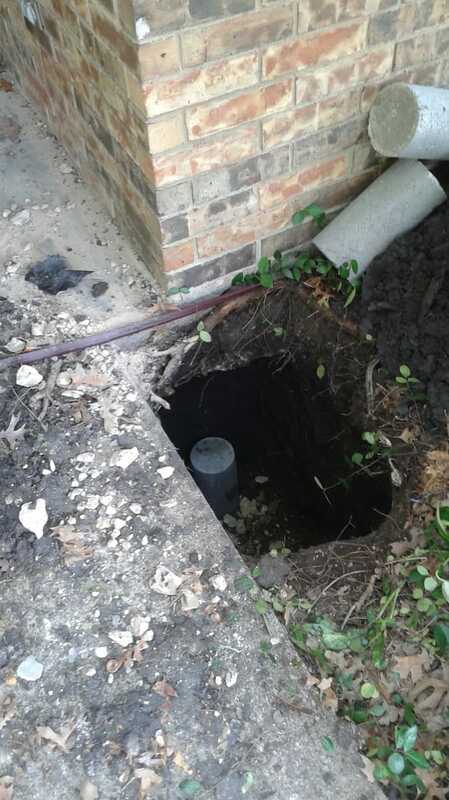 If your house is in an area or on a grade where excessive moisture might be a recurring problem, you can incorporate a more permanent drainage system into your property for regular maintenance. 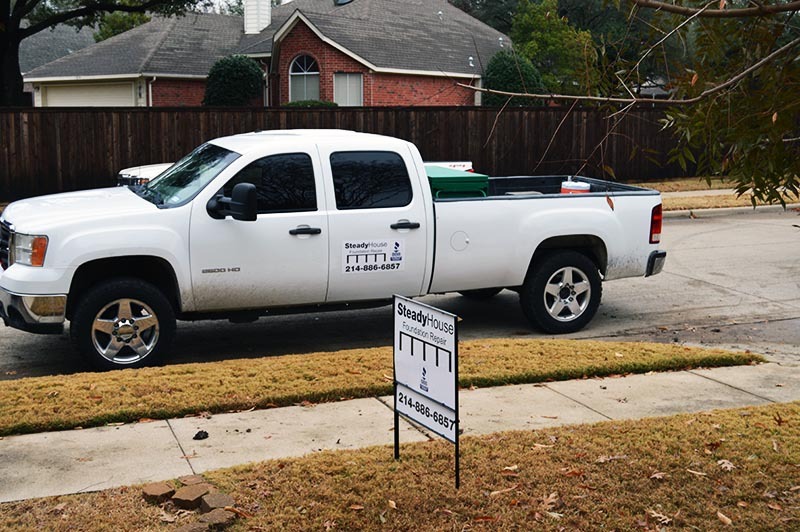 If your foundation needs an inspection or repairs, go to Steady House Foundation Repair here. While foundation damage can mean costly repairs, the earlier you catch this damage, the easier (and more affordable) it is to fix. This makes it important that you have your foundation professionally inspected if you believe that you may have foundation damage. However, many homeowners do not know how to detect foundation damage. To help get you started, here are a few of the signs indicating that you should consider having your home’s foundation inspected. A clear sign of problems with your home’s foundation is if you notice sections of your flooring that are uneven or sagging. If there are sections of your home’s flooring that seem lower or higher than the rest, do not ignore this as just a sign of your house aging; this is likely indicative of serious foundation damage and you will want to have your foundation inspected immediately. After recent rainfall, have you noticed that water tends to stand near your foundation? This is a sign that you have poor drainage around your home, as gutters and proper grading should direct water away from your foundation. If water has been collecting near your foundation then this water may have seeped under your home causing foundation damage. It would then be in your best interest to take a precaution and have your foundation inspected. In order to catch foundation damage as early as possible, you should occasionally inspect the exterior of your home. If your home is on a slab foundation then you may be able to see exposed concrete at the base of your home where it sits on the foundation. If you notice cracks in this exposed concrete, there may be foundation damage. While small cracks may not indicate structural damage, it is best to have them inspected just in case there is a bigger problem. 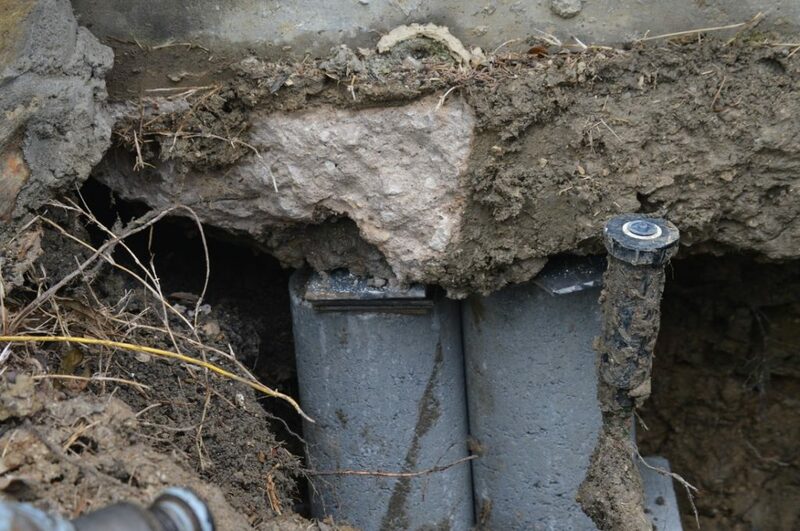 Contact us to learn more about foundation inspections and how you will know if you have foundation damage.